You may have never heard of CrossRoads, but their MylarOne line-up of ear canal headphones has been well received at headphone forums as capable of offering good audio quality at a reasonable price level. As far as I know, their products are not sold in Europe, at least not in traditional outlets. However you can get them from Jaben.net (thanks to Uncle Wilson who has kindly supplied this review unit). With the new MylarOne Quattro, Crossroads is aiming to bring a pair of reasonably priced customisable headphone to the masses. The Quattro features interchangeable “tuning plate” screw-on bass ports, that allows the listener to customise the desired sound to their liking. 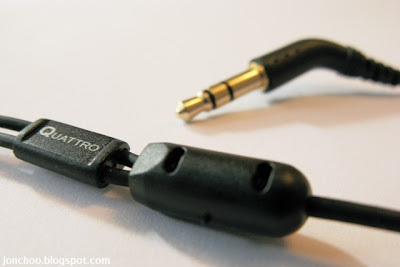 At US$88 inc. shipping, the Quattro is one of the cheapest in-ear headphones that allows the listener to option to do so, and significantly undercuts its competitors by a wide margin (price wise). The Quattro arrives in a small and simple card box packaging that isn't a pain to open. Bundled inside includes four pairs of single flange silicon ear sleeves, a pair of dual flange silicon ear sleeves, an airplane stereo adapter, a shirt clip and a small pouch. You also get three pairs of the screw on bass ports labelled with '1', '2' and '3'. The build quality of the Quattro is actually pretty good. The Quattro itself seems to be made of anodized aluminium and is very tiny. It is actually the tiniest IEM I ever held. The housing features a clinder design and holds a small 7mm moving coil dynamic transducer. The silicon sleeves are soft and supple, and reminds me a lot of the Klipsch ear gels (easily the most comfortable ear sleeves I have worn). Like the Radiopaq, there is no mesh or filters on the nozzles to prevent dirt and ear wax from entering. I am guessing that it features a similar design to the Radiopaq which features a built-in protection at the driver level. 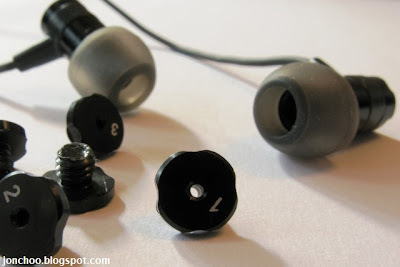 Overall, I have no complains about the build quality of the Quattro earpiece itself. Unfortunately the cable appears to suffer from slight microphonics. CrossRoads cleverly supplied a shirt clip (already clipped to the cable), which can help with reducing the amount of microphonics. 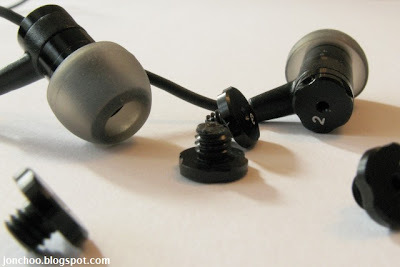 Wearing the Quattro over the ear will also help a lot. A Y-slider is included which you can also use to help reduce the microphonics. On the upside the cable is soft and do not kink as easily as the Radiopaqs or tangle much. 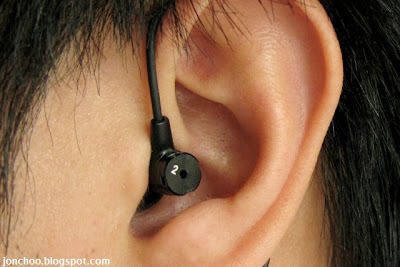 It terminates at a 3.5mm headphone jack that is angled slightly (comparable to the Klipsch Image X10). 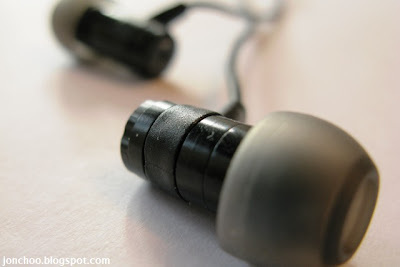 Because of the size and lightweight-ness, the Quattro is very comfortable on my ears. They feature a deep insertion design that allows for greater isolation in comparison to other headphones like the Sennheiser IE 8. Unfortunately my ear canals are quite shallow so the Quattro sticks out quite a bit more than say, IEMs that features a flushed design. This makes sleeping with it almost impossible. Still people with deep ear canals may find the Quattro to be ideal for sleeping, but mileage my vary. Now, on to the important bit: the sound quality! Based on other owners experience I subjected the Quattro to 100 hours of intense burn-in. The three pairs of bass ports does affect the frequency response by quite a bit. Port 1 offers the heaviest bass response, with port 2 in between and port 3 offering the lightest. Unfortunately before doing my final testing, one of my part 3 port suffered a mishap when the adhesive that held a cover that closes the port's vent loosened and fell out, trapped inside the Quattro itself. I was able to remove it, damaging the cover in the process. This does mean I am unable to accurately judge the performance of port 3 at this stage of burn-in. However based on previous tests (before the cover fell out), I found that that port 3 offered a very bass light sound, with greater treble detail at the expense of soundstaging. Personally I found that the bass response with port 1 to be too much. The treble quality doesn't seem to be affected much, but they are slightly more recessed than port 2. Soundstaging wise, they are the widest and has an airy sound. Instrumental separation could be better, but they don't sound congested. They have a nice warm sound, but so does port 2 and 3. Port 1 also happens to isolate the less due to the vent, though not by much. Port 2 is my favourite port to use with the Quattro. They offer a bit less bass than port 1, whilst not changing the overall warm sound signature much. The soundstage narrows a bit, but is still wide to enjoy classical music. The clarity is actually pretty amazing with port 2, with good amount of transparency. Mids are detailed and lush, with good but slightly recessed vocals. The treble isn't too bad either and I detected no apparent sibilance. Bass impact is punchy, but without the overwhelming quantity of the first port, and certainly no where near the speed, tightness and impact of the IE 8. The Quattro is any interesting product. The price range puts it up against plenty of established brands and products, including Klipsch (with their new Image S4), Sennheiser CX 95, Denon AH-C551 and the Radiopaqs. The warm and fun sound will almost certainly please many people, but the sound quality isn't nearly as good as the CX 95, Radiopaq Jazz or the discounted Klipsch Custom 2. 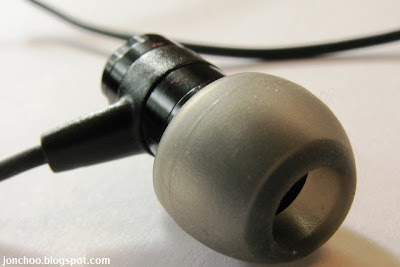 However if you want a customisable in-ear headphone without the large price tag, the Quattro comes highly recommended. Hi there.. Would you please do some comparison of Quattro and CX95.. I'm interested to get one of them.. Thanks..